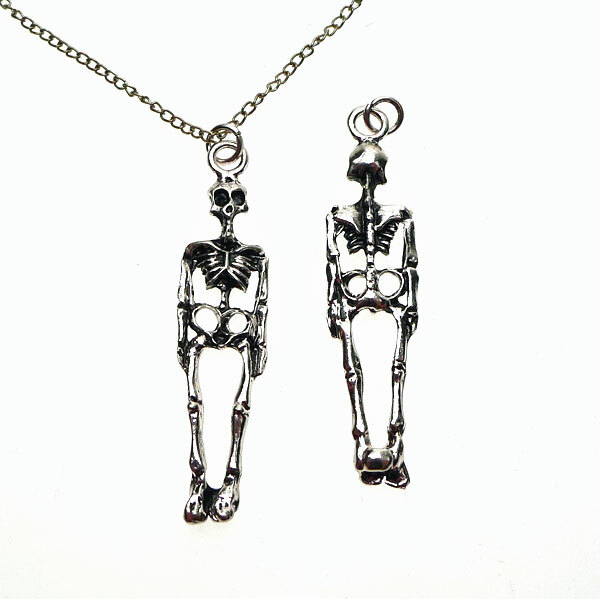 Spooky Goodness! 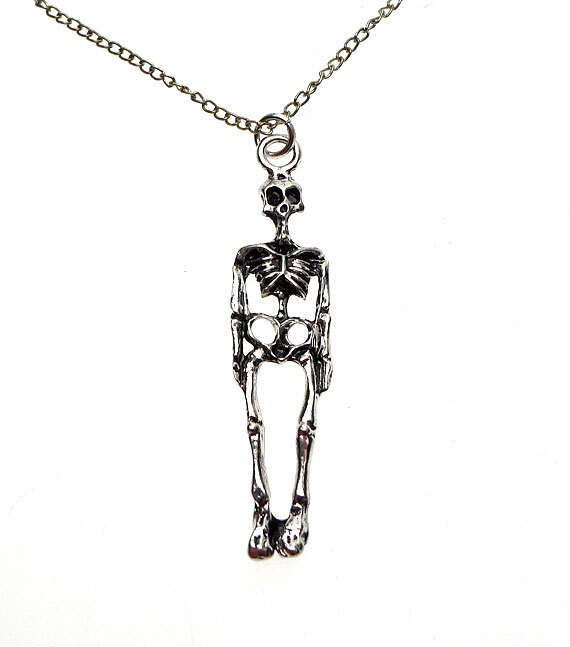 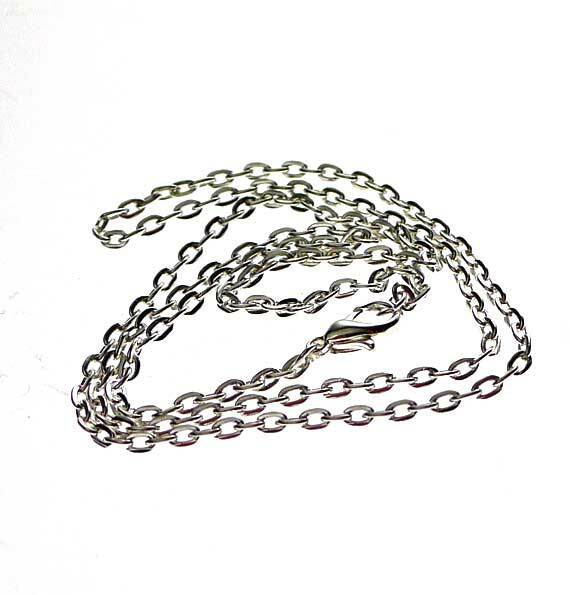 -- A large 3D Full-body Skeleton Pendant suspended from silver plated chain with lobster clasp closure. 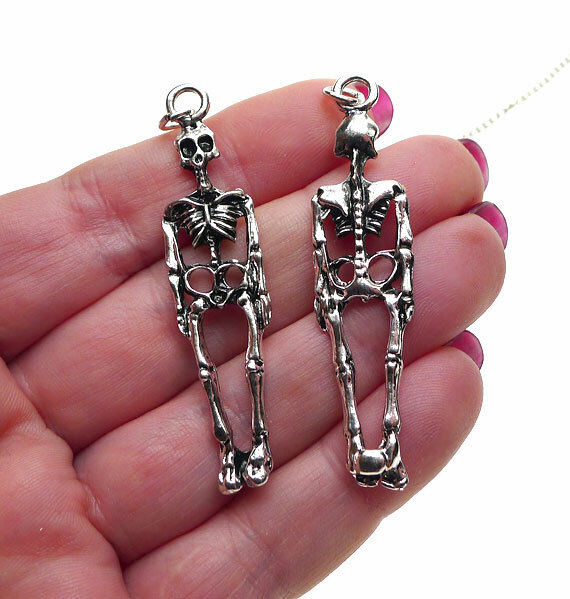 The silver plated skeleton measures just over 2-inches tall and just over an 1/2-inch wide.